The scene: // Cloudy day. Rain and 60 degree temperatures, yesterday, washed away our early snow. Listening to: // “When the Red,Red Robin Comes Bob, Bob, Bobbin’ Along” by Louis Armstrong, with the chorus of “Wake up! Wake up! You sleepy-head. Get up! Get up! Get out of bed.” One of my favorite songs on my Good Morning playlist on Spotify. Our book club selection for December is going to be a great focus for discussion at this time. 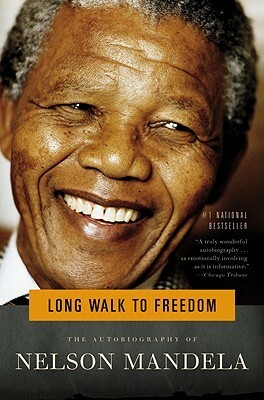 Reading: // The very long autobiography of Nelson Mandela, Long Walk to Freedom. It’s absolutely fascinating and surprisingly relevant to current events. Our diversity book club will discuss it early in December. Watching: // The news, multiple Twitter feeds, my Facebook wall (recently enhanced by new friends who are activist clergy in the St. Louis area), and this terrific Live Update page from St. Louis Public Radio. I’m by no means an insider on what’s happening in the protest community surrounding Ferguson, but if you’re only getting news from TV, then I’m in a position to enlighten. You’ve probably guessed that what you see on TV is only the tip of the iceberg, but it’s easy to get the impression that underneath is roiling turmoil. In fact, the massive obscured part of the iceberg consists of meetings. Lots and lots of meetings. Meetings don’t make good television, but they do create opportunities for people to meet each other across all kinds of divides, work out effective peaceful strategies, and make change happen. I learned at a meeting yesterday that change has already occurred, including a start on the problems created between police and citizens when fines are a major revenue source for a city. The Organization for Black Struggle, an established group in the St. Louis area has raised enough funds to hire staff for the first time — a foundation that will allow them to work for change for many years to come. Participating in// A Month of Favorites in December, hosted by Girlxoxo, Traveling with T, and Estella’s Revenge. This looks like a great way to end the year and to get back to my blogging after NaNoWriMo. What are you up to this fine Sunday? Thank you for sharing this lovely good-morning playlist! I’m listening now. Our day is cloudy, too, and I love that Red, Red Robin song! Thanks for sharing your thoughts…and for visiting my blog. Enjoy your week! Hmmm. Interesting (the Ferguson links). We seem to hear only one part of the story, don’t we? It’s good to know there’s more going on behind the scenes. Thanks for sharing.I always look forward to seeing what your diversity book club is reading. And yay for joining the Month of Faves event in December. Let us hope…and pray…that change is coming. It’s hard to separate fact from hype but something smells funny about this situation. In any case, change is needed. I just saw a great TV show called Black and Blue about being black and law enforcement’s attitudes and actions.